Wow, doesn’t Christmas fly by? Family, friends, travelling, celebrating, eating, drinking…it’s a whirl! Now that the dust has settled a little, you can relax at home with the lovely new things that you’ve been given. Which means you know how much people like new things…as do your customers. By combining art, light and scents, Beautifully Handcrafted aim to, if only in a small way, replicate the outstanding beauty of Cornwall. Inspired by the landscape, history and even the scents of their surroundings, they have created a stunning collection of gifts and prints. Their prints and canvases help to display captured glimpses of its landscape to provide inspiration, while their soy candles and scents have been developed to capture memories of the Cornish countryside. They make everything in small batches, by hand, combining traditional techniques and state-of-the-art equipment. All of their products have been certified “Made in Cornwall”. (Stand A714). Cornish Pewter will be bringing new to the market ranges of pewter, and silver on pewter, some of which come with complementary leather and ceramic. Many of their designs are based on strong Cornish heritage themes. They are currently setting up shop and their website will be up and running soon. (Stand A617a). 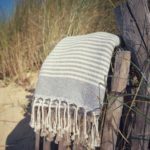 Inspired by life in the wilds of the west Cornish peninsular, they source beautiful, handmade Hammam towels and ponchos direct from the Turkish loom. With an endless number of uses, their 100% cotton towels are quick drying, lightweight and the perfect compliment to their ‘less is more’ attitude to life. Beautiful, functional and incredibly versatile, they are an essential companion for people who live and love a life on the move. (Stand A619). Meet the creators of Norbert’s Fidget Putty! Norbert’s Fidget Putty is the new thing, for both kids and adults. 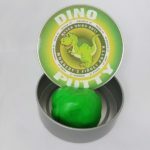 You can move, make, create, imagine and play with this moving putty. It’s flexible material never dries out – and it comes in various styles – magnetic, heat changing, glow in the dark, and more! They are also debuting Squishy Pals, the super slow rising squishy toys, which are the latest craze from the USA. (Stand A230). Home Deco London aim to bring beautiful unusual gifts and home décor to the many people in the UK by sourcing products of great beauty and function from around the world. Their gift and home décor range includes elegant and charming vintage metal and classic lanterns, candelabras and glass hurricanes. Their continuously expanding product range will add class and chic to your collections. (Stand A716). 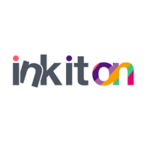 InkItOn is your source of truly personalised merchandise, supplying souvenirs bespoke to individual locations in the UK. You can order from their range of existing designs or they can decorate their products with your own image exclusively. Take the gamble out of stocking up, and use their short run, fast response service to test the market. (Stand A601). Located in Bournemouth, Dorset, Justaddbiscuits design and print gift ranges for high street retailers, tourism shops, museums, estates and attractions who would like unique high-end products to promote their local area or attraction. They work closely with each client to ensure that the artwork is presented exactly how they perceive it to be – on coasters, cards, mugs, keyrings and much more. (Stand A603). An exciting new brand from Cornwall, Married to the Sea is for real people with a real love of the ocean. The brand is designed and hand printed in Mawgan Porth, Cornwall. Their full range includes t-shirts, tops, hoodies, jumpers, bags, mugs, towels and surfboards in both women’s and menswear. (Stand A610). New Ewe produce traditional cold process chunky farmhouse soap made with sheep’s milk. Made in the UK and ethically produced from 100% natural ingredients with fragrances to suit both him and her, ‘New Ewe’ products have been designed, with the ‘New You’ in mind – caring and nurturing healthy skin for you and your family. They also have a range of complementary lanolin rich hand lotions and cream, as well as New Ewe branded hand and tea towels. (Stand A617). Out of the Blue is a beautiful jewellery collection that contains the same Preseli Bluestone that was used in the construction of Stonehenge. It is a rare and enigmatic stone that is mainly found in the Preseli mountains (hills), Pembrokeshire, Wales, where it is protected in a Site of Special Scientific Interest. All their jewellery comes in a presentation box with an information card explaining Preseli Bluestone and its connection to Stonehenge. (Stand A605). Paul Liggins is a Dorset artist who is recognised for his colourful paintings of coastal scenes featuring happy harbours and jolly fisherman; each painting is full of its own individual detail and humour. Paul is constantly producing portraits, landscapes and lifestyle products. His range now includes homewares, gifts, phone accessories as well as kitchenware, – all inspired by his original acrylics. Why shouldn’t everyday things be attractive and life-enhancing as well as useful? (Stand B751). Based by the sea in Mawgan Porth, Cornwall, Printed by the Sea specialise in garment decoration and product branding. They can screen print your logo/design onto clothing such as t-shirts and hooded sweatshirts, print tea towels and emboss ceramics such as mugs and glasses. There are endless possibilities and they offer a diverse range of printable products, and a friendly helpful service. (Stand A610). Se-Hara Bleu source direct from workshops, mainly in Morocco, getting to know the artisans and their ways of doing things. They have taken their traditional products and tweaked and selected those that blend in with with a contemporary western lifestyle. Their artisan-made natural, upcycled and recycled products complement a contemporary modern european home. It’s a funky recycled industrial look! (Stand A718). The Crafty Kit Company design and sell a unique range of knitting, sewing and crochet kits that will encourage young and old alike to turn their hand to traditional ‘make and do’ skills, such as hand sewing, crochet and knitting. Each Crafty Kit comes with full instructions, templates and all the materials required, with the exception of scissors. Their kits are designed in-house right here in the UK. Kits are packaged in beautifully designed cardboard boxes that make the perfect gift! (Stand A408). Aiming to bring a little piece of Wales to homes across the Country, Welsh Connection are an award-winning small ceramic and homeware design company, who offer a range of kitchen and tableware, fine bone china products, all designed and created by hand in Wales. This year they were named CV Magazines ‘Best Ceramic & Homeware Design Company – Wales 2017’. (Stand A702). If you’d like to find out more about our Newcomers, and you haven’t registered and printed out your free trade entry badge yet, the time has come to push the button below. In the meantime, we’d like to wish you a very Happy New Year. See you in January! « Have we got news for you!